In David Brin’s science fiction book Kiln People, people make copies of themselves to aide with multi-tasking. Something we’d all like the power to do at times. Time isn’t money, it’s much more precious. Saturday night, unable to physically travel a hundred-plus miles to hang out at one of the parties celebrating space flight, I decided to go virtual and attend a party in Second Life hosted by Extropia a community of Transhumanists–an international intellectual and cultural movement that seeks to use science and technology to ameliorate human suffering and shortcomings. However, I was also very busy that night. 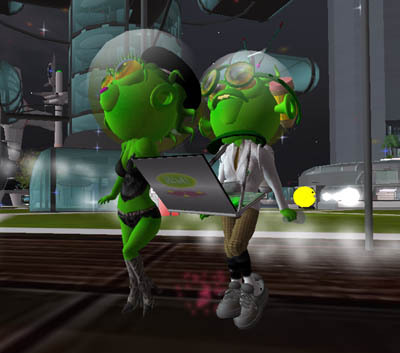 So while I was at the party, I set my avatar to dance automatically, while I caught up on some writing. It was awesome! 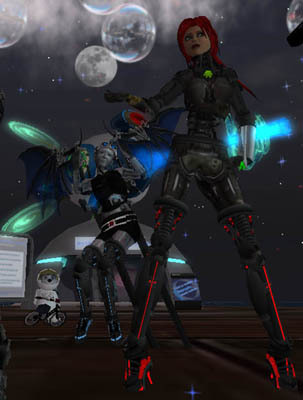 I got to dance with hot cyborg ladies in one window, while keeping up on research in the next. I had a great time, and just like real life parties, I don’t remember much of it. Unlike real life parties, I didn’t get behind on my homework. Can’t make one of the parties tonight? 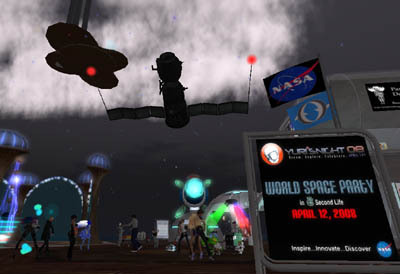 Go virtual and attend COLAB’s Yuri’s Night party in Second Life. It begins 11AM PDT and runs until 11PM PDT, with live virtual music performances scheduled all throughout the day. I’ll be wearing my virtual Yuri t-shirt, if I can find it. 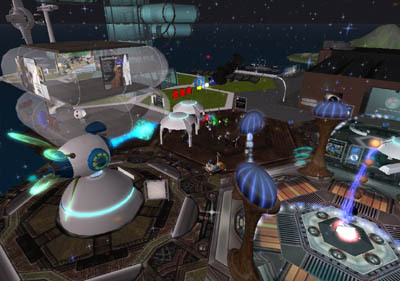 Extropia in Second Life also has events planned all day. 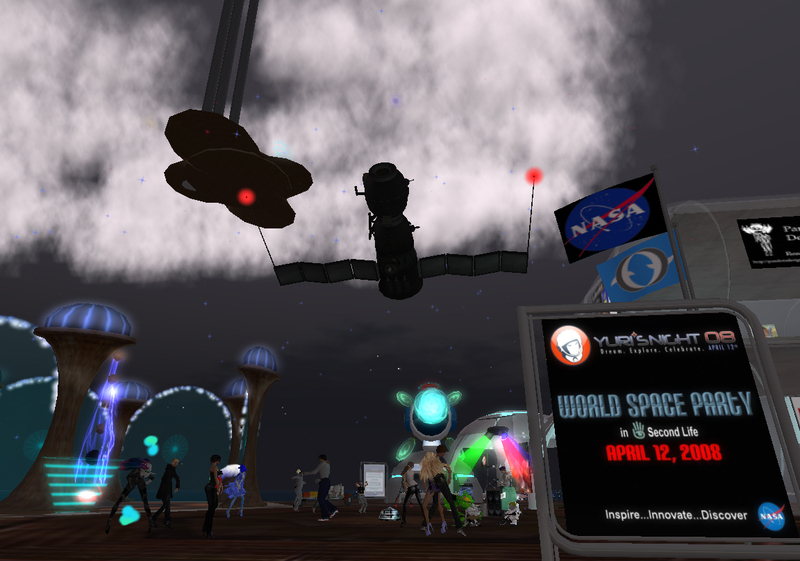 David Brin will be giving a speech at 1PM PDT. This Saturday Night! Be there! BE THERE!! BE THERE!!! Find a party in your area, attend, and then tell me about how cool it was… since there aren’t any parties within 150 miles of where I live.